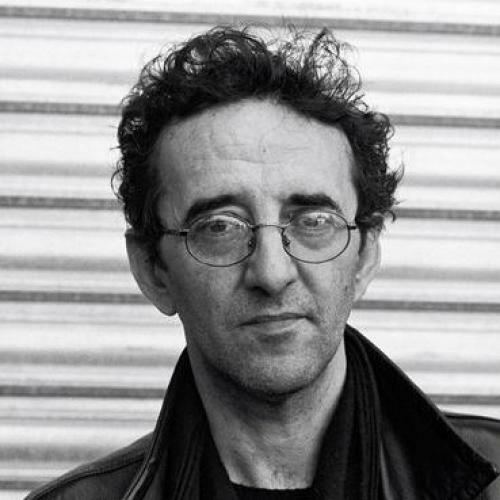 ALTHOUGH IT HAS been nearly a decade since Roberto Bolaño’s death, he has been publishing at an enviable clip. His latest book, Woes of the True Policeman, is not even his first this year: last spring there appeared The Secret of Evil, a collection of nineteen largely unfinished stories. His publishers’ enthusiasm for his posthumous work is not difficult to understand: not since García Márquez has the American public fallen so hard and fast for a Latin American writer. Even if you grant publishers and literary magazines—and who would not?—the right to pad their coffers by any means, it is worth asking if there are hidden costs in this Bolaño worship, not only for other Latin American writers, but for Bolaño himself. It is unclear whether publishing Bolaño’s unfinished works as popular books, instead of, say, scholarly editions, adds anything to the Bolaño legacy. In fact, it may demean it. The continued publication and popular packaging of his incomplete work may actually be diluting his reputation as a writer of varied talents and fearless ambition. So what does Bolaño develop here? Like 2666, this book has five sections. Also like 2666, this novel gradually develops the story of a chase. And both novels show Bolaño using narrative in a way that differs from any of his other works: pushing the temporal and spatial boundaries of what can happen in a single section and knowing where deliberate lacunae will have the greatest effect. (In an act of narrative legerdemain, calculated omissions allow us to entertain the possibility that one character, in a marked departure from his past, now moonlights as a nightclub magician; likewise, one unnamed Texan may be an art dealer who knows the painter Larry Rivers and yet still commissions blatant forgeries of his work.) But this novel does not offer much that is not more effectively executed in 2666. Woes presents a narrative full of suggestions, echoes, and even suggestions of echoes, but too often the result is just noise. It strives to reach the same heights as 2666, but falls short, imitating the methods of the longer novel but failing to produce a similarly enthralling series of structural and thematic resonances. In more concrete terms, this is the story of Óscar Amalfitano, a professor who also appears in 2666. While teaching at the University of Barcelona, Amalfitano has his first homosexual experience, an affair with a young male poetry student—which he later tries to explain by “reasoning that if the Eastern Bloc could crumble, so, too, could his thus far unequivocal heterosexuality.” Upon hearing of the affair, his university superiors quietly force him out. Together with his daughter Rosa, who has become so accustomed to her father “leaving countries for political reasons and entering them for academic ones” that she now speaks “United Nations Spanish,” he moves across the Atlantic. The university in Santa Teresa, a fictional town loosely based on Ciudad Juárez, ends up being the only place a disgraced Amalfitano can go. Woes, however, never abandons Barcelona. Amalfitano maintains an epistolary relationship with Joan Padilla, the young poet, who remains in the Spanish city. For Amalfitano, Padilla seems like “the embodiment of an impossible trinity: lover, son, and ideal reflection of Amalfitano himself. But Padilla is, in many ways, also a male rendering of Lola, the wife who abandons Amalfitano in 2666: he is capricious, obsessed with another poet locked up in an insane asylum, and stricken with AIDS. The arc of this relationship is supposed to sustain the narrative throughout the novel. Amalfitano’s students in Santa Teresa learn that a book is “a labyrinth and a desert”—a Borgesian sentiment that recognizes the pursuit and rejection of narrative ideas. Bolaño’s unfinished novel, however, does not strike the right balance: there are too many narratives and they dry up too quickly. And the one storyline that persists—the story of Amalfitano and Padilla—is the most conventional and therefore the least engaging. Bolaño’s strength is in depicting the uncanny and, as the Baudelairean epigraph to 2666 suggests, finding oases of horror in deserts of boredom. The general scarcity of translated work makes the shortcomings of this novel more pointed. On the one hand, it is difficult to criticize any publisher for bringing foreign works before an American audience. Just 3 percent of books sold in the U.S. are translated works; for literary fiction and poetry, that number dips to 0.7 percent. But on the other hand, the more Bolaño that is translated, the less room there may be for other writers whose work falls in that 0.7 percent. Of course, this would not be a problem if every Bolaño work shone. But with Woes of the True Policeman, that argument becomes exceedingly difficult to make. We have enough. Sam Carter is the literary intern at The New Republic.